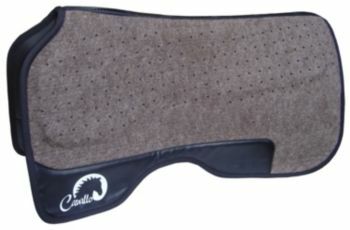 Cavallo Western Bridge Saddle Pad The ideal solution for a saddle that is too tight at the withers yet lifts off at mid-back. Thinner at the front and rear and raised in the middle, this pad re-establishes consistent pressure along the horse’s back while easing saddle fit discrepancy. Lightweight and shock absorbing, the Bridge TSP maintains spinal and wither relief throughout the gullet, while ensuring more comfort and stability.